This post finally finds me with a finish and a small addition to the Stash! 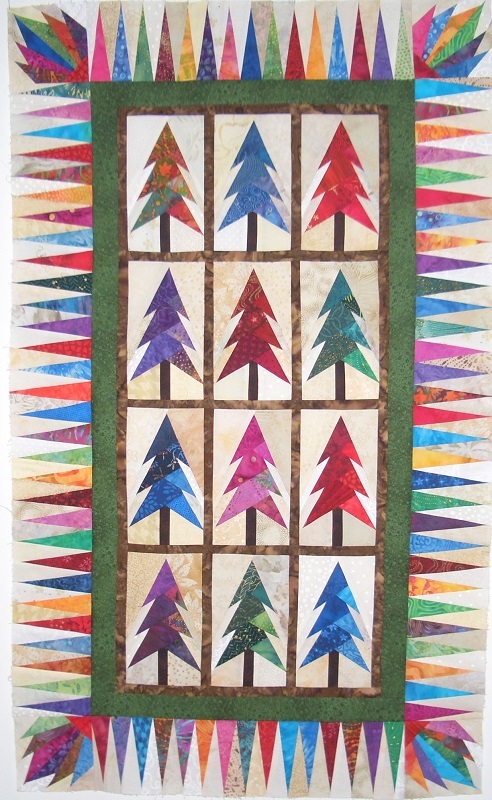 First off the finish is my Jeweled Trees Quilt. 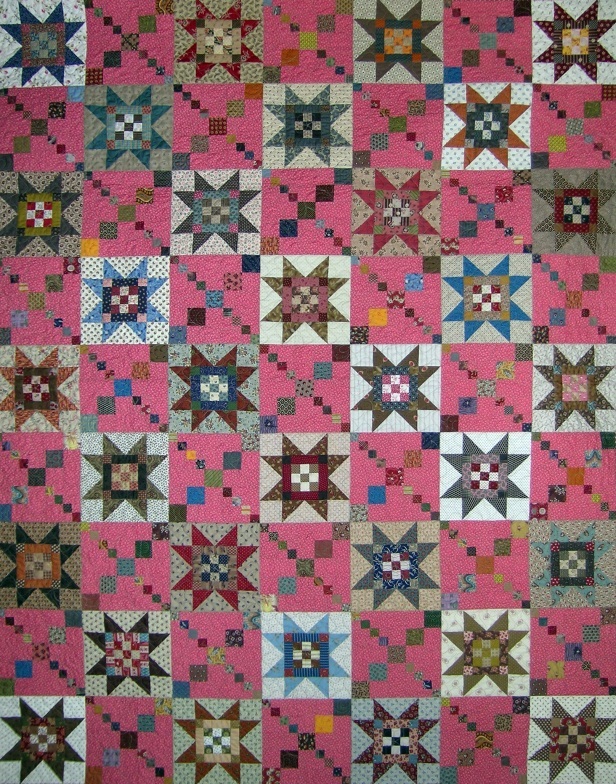 This was a pattern form the December 2009 McCall's Quilting Magazine. It is all paper pieced, really a pretty simply paper pieced design. The hardest part was picking out all the fabrics from my stash. Really love how this turned out- will be adding to the quilting que! 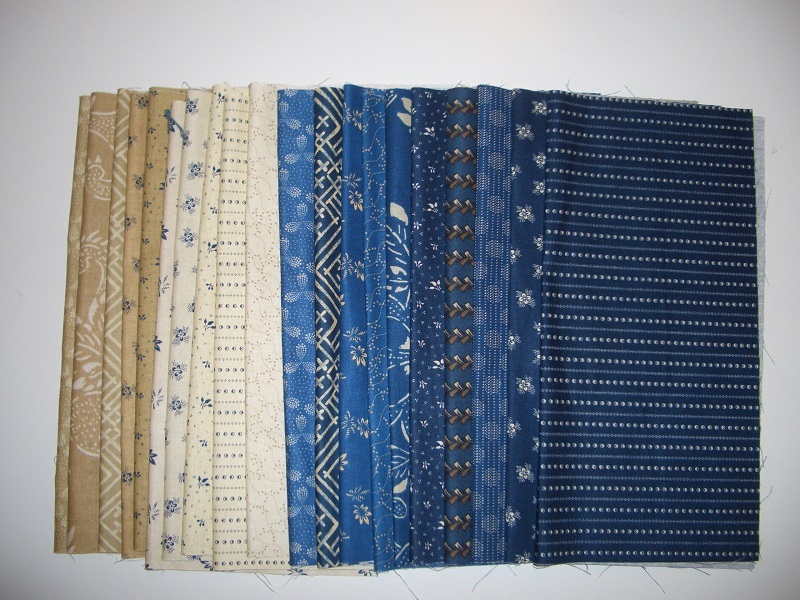 The only addition is 20-10" squares from Keepsake Quilting. 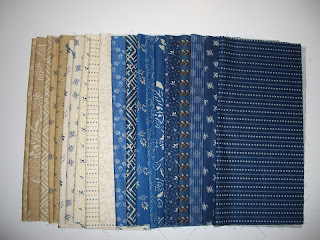 These are to be used later this week in a class at the San Diego Quilt Show. 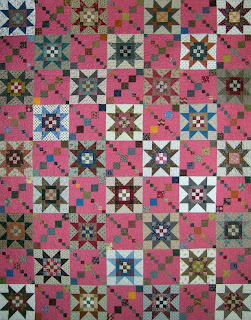 It is called Survivor and is a scrappy quilt with 9 patches and stars. I will be using a cheddar for the pink and the blues will be all the scrappy pieces. Shirting's will be the light background. Should be a fun class. Used this week: 5 yards. Used Year to date: 112.25.